surrounding the company has ridden on the introduction of the new flagship. When Nokia unveiled the N9 running Meego, many mourned the loss of Meego as premature, while simultaneously voicing the wish that Nokia would bring the polycarbonate design to Windows Phone. 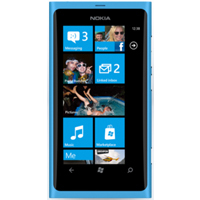 It was teased as the Sea Ray, and then officially came to the platform as the Lumia 800, which was recently announced at this years Nokia World. While details about the release of the phone remain obscure for some major markets, the excitement surrounding the device is evident. RIM also released a series of phones in 2011. However, they were nearly indistinguishable from models released three years prior. To be completely fair, the BlackBerry Bold 9930 is a very solid device, but the general aesthetic has undergone very little, if any, palpable changes since the Bold 9000. While RIM has a very solid design for devices with physical keyboards, it is a design that is becoming tired. The company has iterated the series, but the result is a phone that might have well been made in 2008. Windows Phone devices. Nearly nine months later, we’re beginning to see Nokia’s long-term strategy (to win back the high-end with Windows Phone devices such as the Lumia 800) and the cultivation of the lower-end (with the new Series 40 Asha devices). RIM had a strong showing at CES, with the PlayBook taking many by surprise, as it seemed to be a competitive tablet. Unfortunately, that momentum could not be carried through to launch, and the 7-inch tablet suffered from buggy software and an incomplete feature set. The device lacked an ecosystem, a native mail client, and sales figures — and it was not the only part of the company that seemed to lack a cohesive vision and focus. The mobile operating system has also been under scrutiny. BlackBerry OS7 was criticized for being as behind-the-times as the company’s design acumen, and while the PlayBook QNX was lauded as impressive, it hadn’t yet been implemented on any smartphone. Only the future will tell if RIM will be successful in putting out BBX quickly enough to save the platform. Stephen Elop was the first non-Finn to be named as CEO of Nokia, and his actions during his short tenure have been anything but traditional. The decision to abandon MeeGo and pursue Windows Phone was met with criticism, and even disgust, with even the most averse suggesting that the former Microsoft Business Division head is in cahoots with his former company. 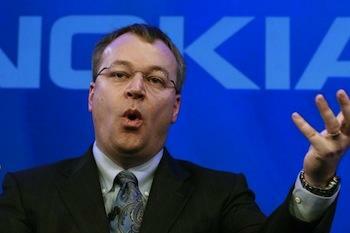 Regardless of the wisdom of his actions, Elop has decisively pointed Nokia toward its future. Meanwhile, RIM operates under the mantel of dual leadership. When a company has two CEOs, who is to blame? Everyone. As long as Mike Lazaridis and Jim Balsillie co-hold the position, controversy will not be far behind. Many not realize that Balsillie even holds the title of co-CEO, as Lazaridis has been the focal point of much of the recent activity. Whether it be walking out of an interview on the BBC or sorrowfully apologizing for outages, Lazaridis has become the face of a failing, floundering company. Last year, RIMs global market share stood at 15 percent. Only one year later, they have fallen to 10 percent. Even more depressing are the figures when taken in the context of the exploding US market: 24 percent market share one year ago, 9 percent today. 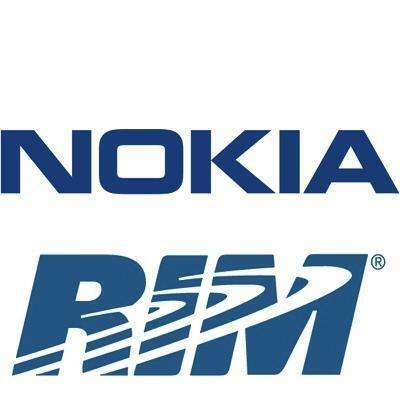 Perhaps RIM should take a hint from Nokia and realize that breaking with tradition — and perhaps even one or both of its CEOs — may be a good thing. Then again, there might be few things they could learn from Espoo.